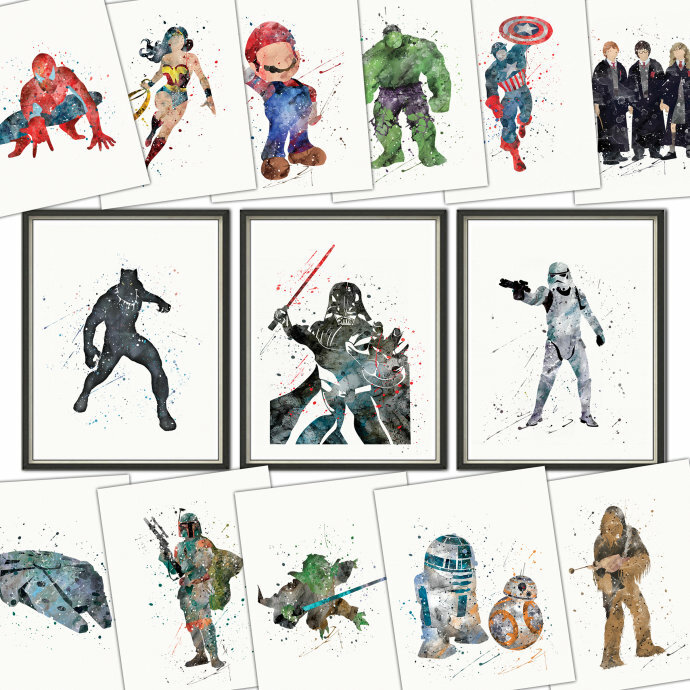 Epic Character Inspired Art Prints Only $3.27! Rescue those walls with these epic inspired artworks for those hard to accessorize theme rooms you’ve been wanting to update! Get an Epic Character Inspired Art Print for only $3.27! These are all 8×10 prints so you can easily find some fun frames for your print and hang them in no time! Shipping is $3.27 for the first item and only $.23 for each additional.